What UK Government RHI Scheme subsidy policy becomes, after the anticipated further changes to be made in 2017, is a hot topic for the UK AD plant industry. The future of anaerobic digestion is seen by many as being crucial to the continuation of AD Plant schemes across the nation. It comes at a time when the added advantages of production biomethane are being better appreciated, and uptake of the process to produce CNG (Compressed Renewable Natural Gas) is rising fast, so the RHI Scheme will be central to most decisions whether to proceed with biomethane producing AD projects. There has been much talk of the UK anaerobic digestion industry being halted in its tracks due to the rapidity, and unpredictability of UK government’s recent renewable energy subsidy removals. There was therefore, much nervousness about big further cuts in the RHI Scheme. However, the results of the UK wide consultation process which went ahead this year (2016) have now been published, and in some areas there is room for cautious optimism that a reasonable scheme which is both supportive of the AD and biomethane sectors, and of the sustainable use of biomass, may emerge. UK RHI UPDATE (November 2017): The long hoped for RHI subsidy reinstatement did not take place as promised in the summer, due to PM Theresa May’s decision to hold a snap election. It was then hoped that the RHI legislation would go through in the autumn of 2017. But, at the end of October 2017, it was realised that no parliamentary time is being allocated to passing new RHI subisidies, until well into 2018. ADBA has made it clear that this delay will jeopardise the UK’s ability to comply with undertakings given at the Paris Climate Change Accord in 2015. The REA’s analysis of the Government’s finalised scheme, released today, indicates that the reformed Renewable Heat Incentive moves us closer to the UK meeting it’s legally binding 2020 renewable heat target. However, there will be certain key sectors which will struggle, including biogas and non-domestic biomass boilers. “The reforms made today to the Renewable Heat Incentive are an improvement to the earlier consultation and will go some way to grow an effective renewable heat sector in some cases to 2021. As recognised in this consultation response, heat is a very complex issue and we need all technologies on board to achieve our long-term goals. Renewable gas, biomass boilers, solar thermal, heat pumps, heat networks, hydrogen and other technologies will all have a role to play. “The biomethane tariff reset is most welcome. Government has acknowledged the strategic role biomethane can play across heat and transport and the resetting of the biomethane tariffs should enable continued deployment of the most competitive projects. Danish biogas plants developer Xergi has been appointed by UK-based company Brigg Lane Biogas to construct a new plant in North Lincolnshire. Located in Bonby, the company will convert 75,000t of food waste into seven million m³ of biomethane every year. 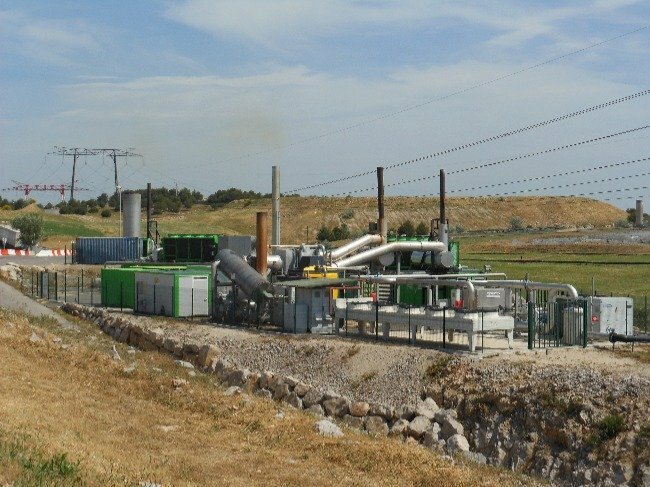 Green gas produced at the new biogas plant will be distributed through the local grid. With the completion of the order, Xergi will have constructed its tenth plant in the UK. Xergi’s chief executive officer (CEO) Jørgen Ballermann said: “The project for Brigg Lane Biogas is our tenth delivery in the UK. The UK renewable energy industry has reacted positively to the government’s renewable heat incentive (RHI) scheme plans. Changes to the scheme were proposed in a public consultation in March. At that time, the renewable heat industry was deeply concerned that the revised tariffs would result in a steep fall in the deployment of many renewable heat technologies. Proposed tariff reductions of 45% for parts of the biomass heat sector, for example, were projected by the Government to lead to a 98% drop in installations. Other technologies, such as solar thermal, were to be removed from the RHI altogether. The proposals resulted in significant outcry from sectors of the renewables industry. The REA’s analysis of the Government’s finalised scheme, released last week, indicates that the reformed Renewable Heat Incentive moves the UK closer to meeting its legally binding 2020 renewable heat target. However, there will be certain key sectors which may struggle, including biogas and non-domestic biomass boilers. ADBA chief executive Charlotte Morton said: “It’s great to see that the new ministers in the Department for Business, Energy and Industrial Strategy (BEIS) remain committed to decarbonising heat in the UK and continuing to support the UK’s burgeoning green gas industry. “We are pleased to see that tariff levels have been reset – this should support higher levels of deployment. We do not believe, however, that the restrictions on feedstock for new plants, which could have unintended consequences, are justified. “The introduction of tariff guarantees is extremely welcome and we will continue to work with the UK Government and with our members to ensure the UK AD industry keeps growing and reaches its full potential – for example by calling for urgent action on food waste collections in England. Payments are made for 7 years and are based on the amount of renewable heat made by your heating system. Reforming how we use energy for heating is critical to achieving secure, affordable and clean energy for families and businesses across the country. That is why the government will be pushing a more cost effective, targeted Renewable Heat Incentive scheme for the next five years. This RTFO news represents a huge opportunity for biogas and purified biomethane. But, what happened to the RHI? Wasn’t an announcement about that subsidy due to be given way back in May? Biomethane, I mean purified biogas, made to a high quality and grid-injectable is going to be huge. Trust me and invest. Look just at the coming demand which will be a reality in a few years, for biomethane. Biomethane supplies will be needed not only for transport fuel, but to provide the electric overnight, because solar panels if you noticed don’t get a whole lot ‘o’ sunshine at night! Can’t start too soon. The government has behaved so erratically recently. Can we assume this new scheme will go ahead, or should we be setting aside contingency funding in case no decision is made?